The past few days have come and gone in a whirlwind of activities….not complaining, just wish there were more hours in a day. I had a little time tonight, so here are a few photos from our two days (June 24-25) in Maui, Hawaii. 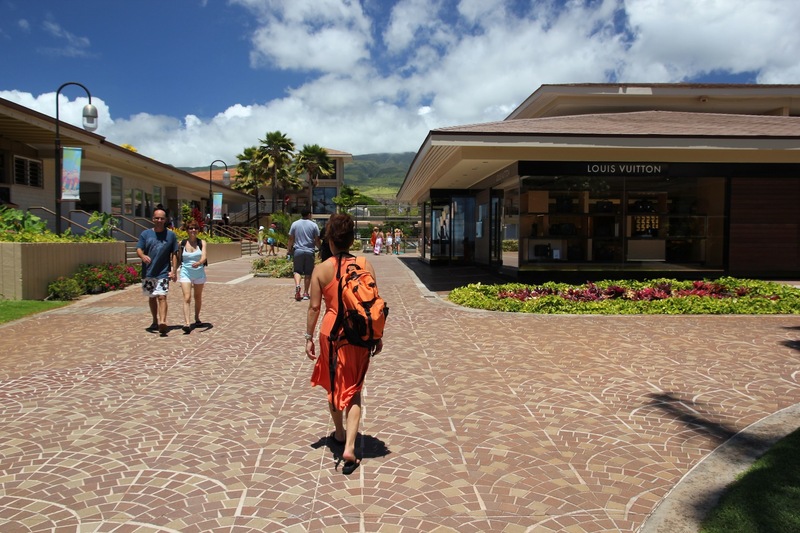 Of course, I had to check out the shopping scene….Whaler’s Village. 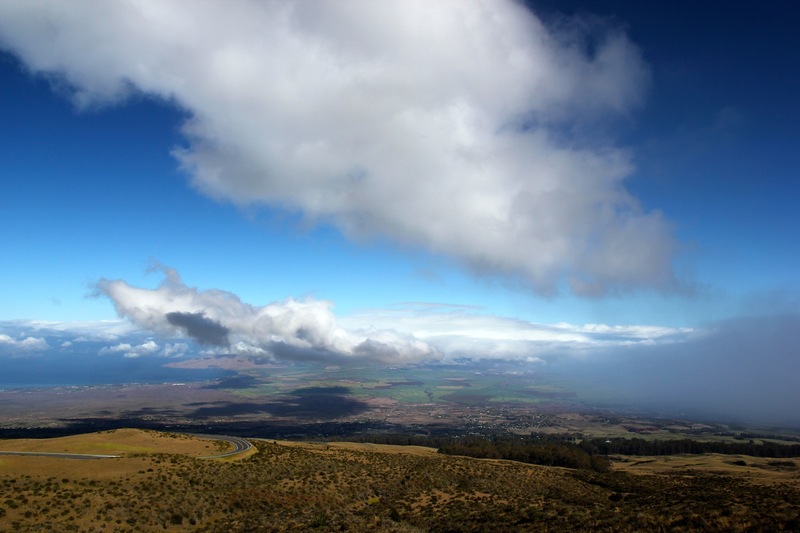 On our drive up to Haleakala National Park. 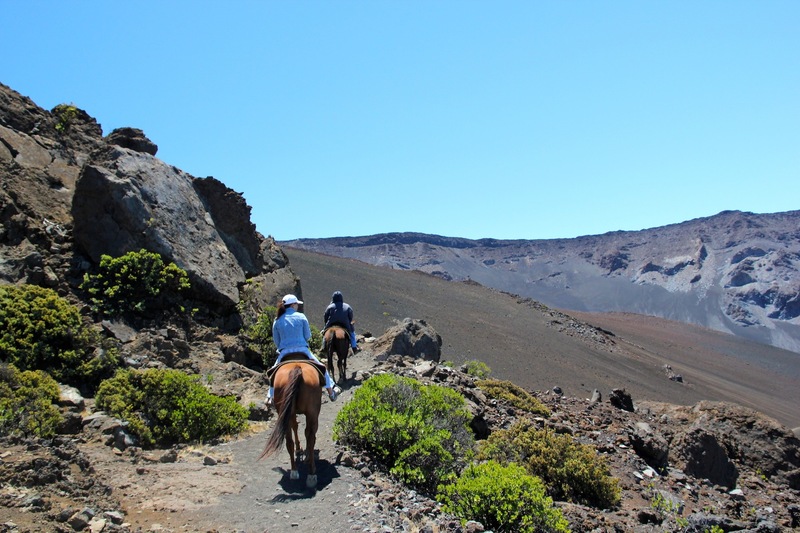 That would be me behind the guide making the trek of 3.75 miles down to the bottom of the crater. A little break for lunch then saddled up for the climb back up to the top. 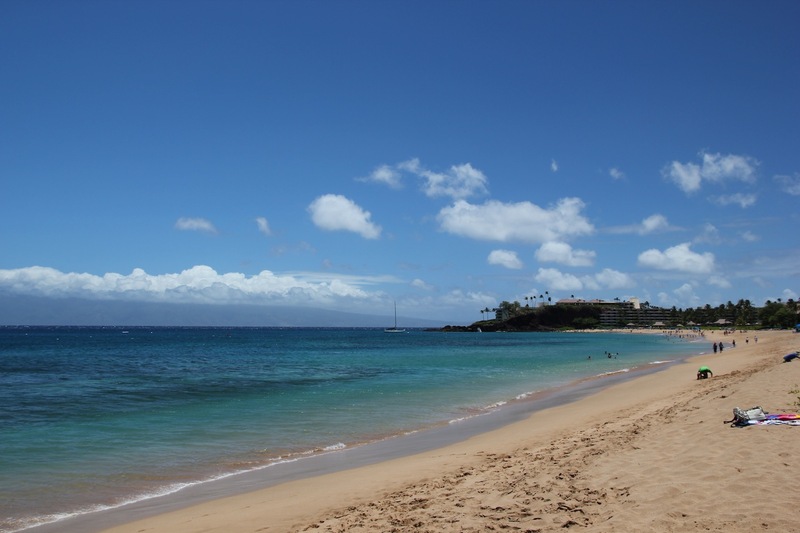 Maui is gorgeous….I can see why your mother loved it so much! 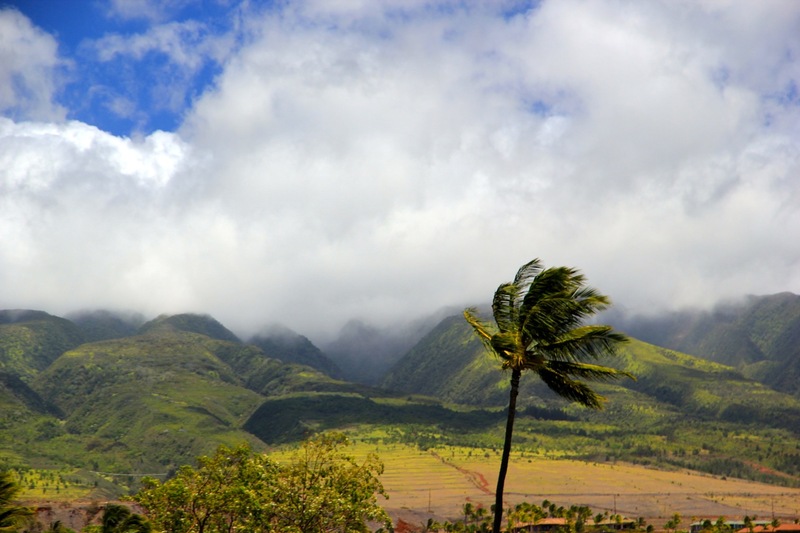 We liked Kauai, too! Na Pali Coast was amazing! I really don’t want this vacay to be over. Breath-taking photos!!! Thanks for the tour!!! You look fabulous!!! I think hubby’s doing a fine job! Yes, indeed, and he has a beautiful model to photograph!! Wow, you fit a lot in 2 days! But 2 days in Maui is CLEARLY not enough!!! Beautiful photos. Glad you had a great time. What amazing vistas! I love the photos of you standing above the clouds. And thank you for sharing your vacation with us! I am a new follower of your Blog! 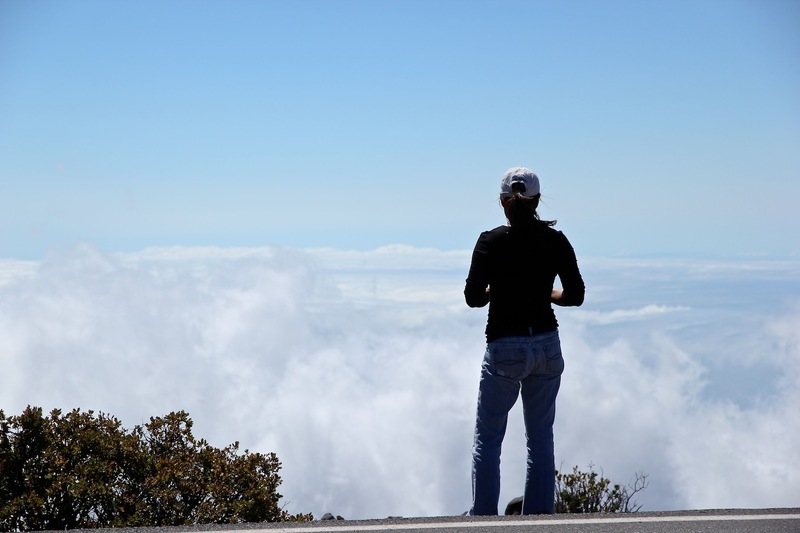 Loved your picture “On Top Of The Clouds”…..breathtaking and inspirational all in one. I think i would have felt a little closer to the Devine One standing there 🙂 Enjoy the rest of your trip with your hubby!! Aloha…. I DID feel closer to Him! I was constantly reminded of His glorious creation. So amazing! Thank you for finding my blog worth following. Have a wonderful weekend! Thanks for sharing these! Wow! 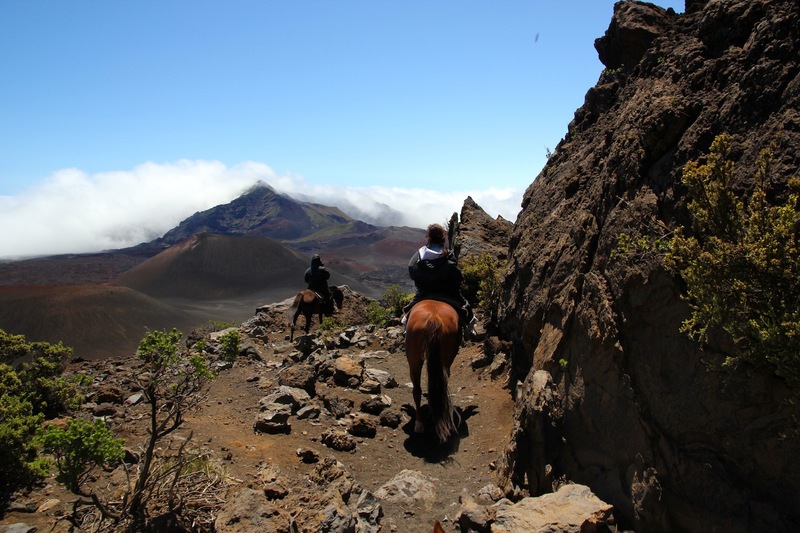 Would LOVE to do that ride into the crater! Oh, you would LOVE it!! It was treacherous at times, but SO much fun!! I actually felt sorry for the horses. gorgeous photos. You look so natural on the horse. Enjoy! Hey cowgirl! What an amazing post! I have so enjoyed going through your pictures and reading about your trip. Really really stunning. Helloooooo….beautiful…wish I was there!!! This week has flown by so fast! This is the fist chance I’ve had to just sit and relax and enjoy the scenery from our room balcony as we’re sailing back to Honolulu. 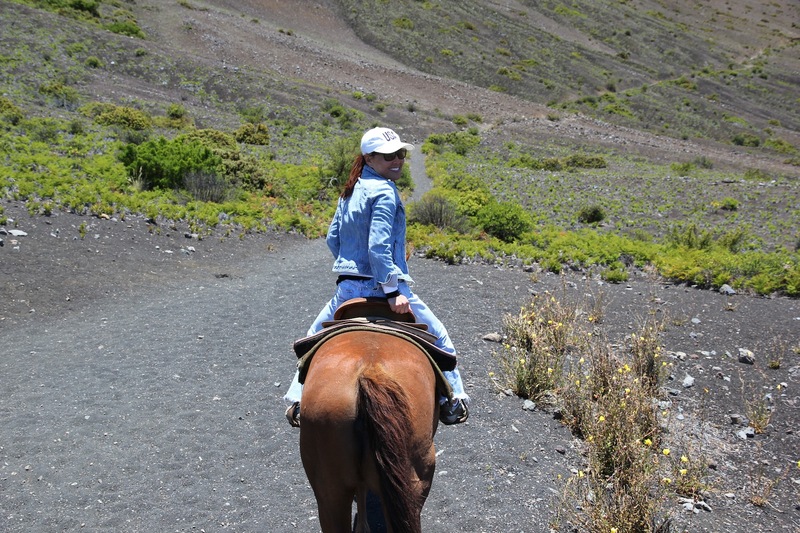 Haven’t ridden a horse in a while, so 4 hours on a horse trekking down the steep crater and back up was not so easy on this old lady…but, I’d do it again in a heart beat! You even look good on horseback!!! Thanks for sharing…relaxing just looking at photos. I was one sore lady the next day, but it was sooo worth it!! Sweet photos. Looks like you had a great couple of days. 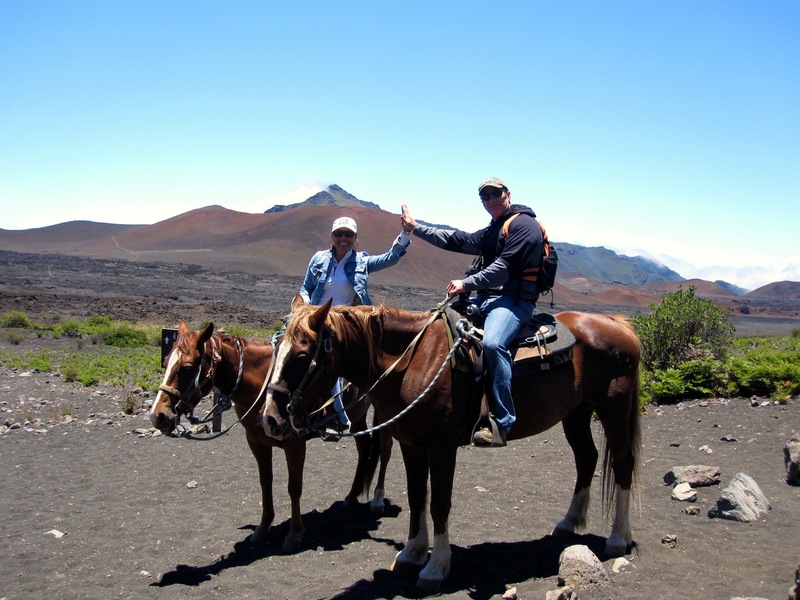 We did have fun in Maui! And, all the other islands of Hawaii! Gorgeous photos! 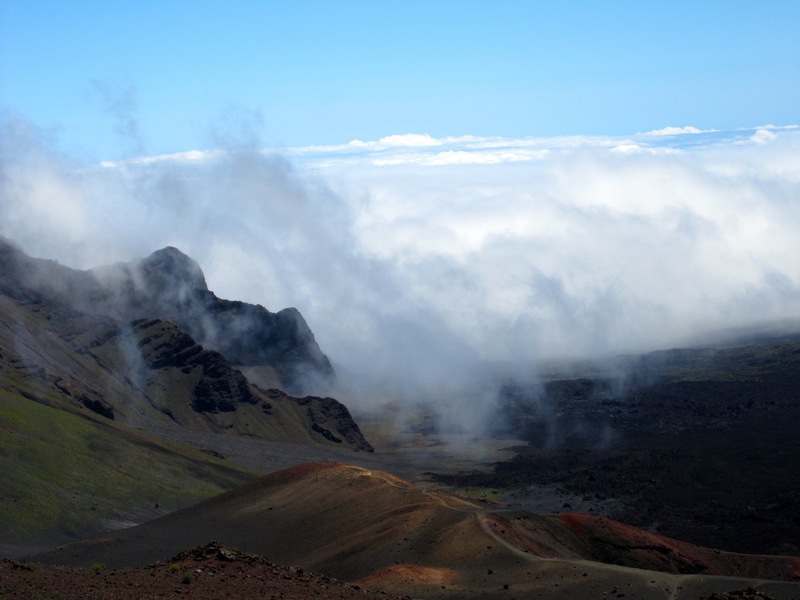 I haven’t been to Maui in many years but it’s still as breathtaking as I remember it. 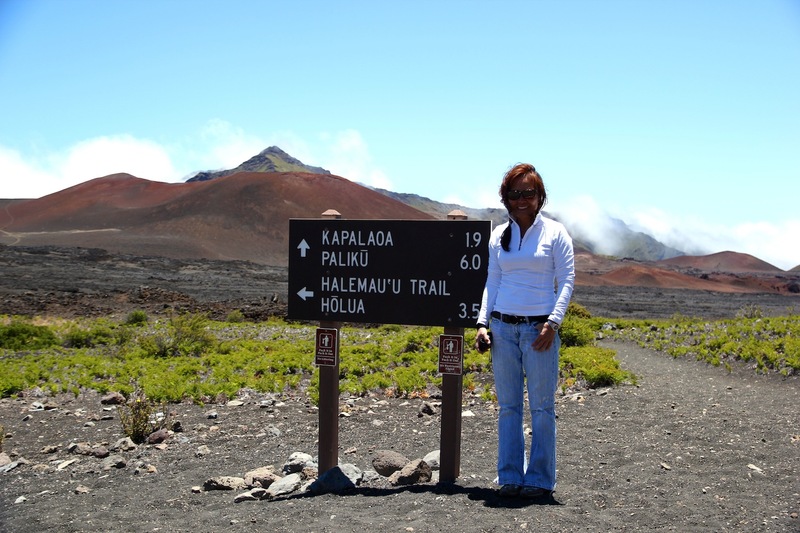 This is my first visit to the Islands…it won’t be the last! It’s so gorgeous here!! It was a blast!! 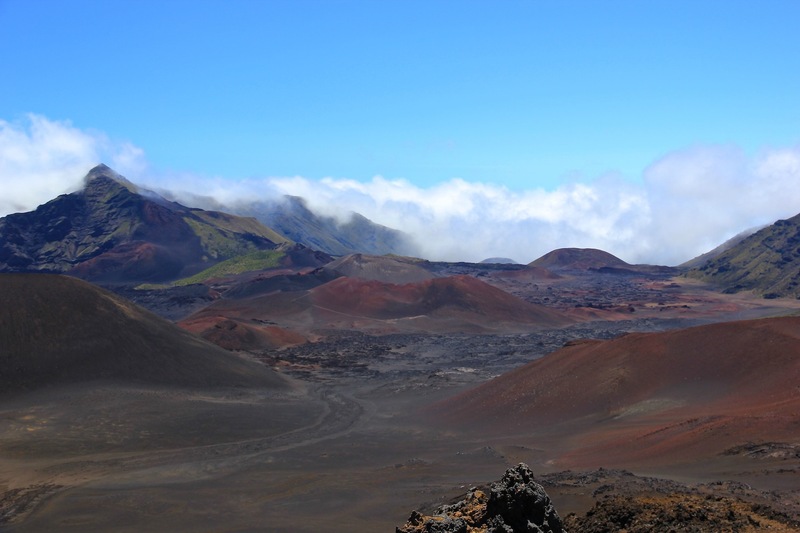 The photos do NOT do justice of the crater. 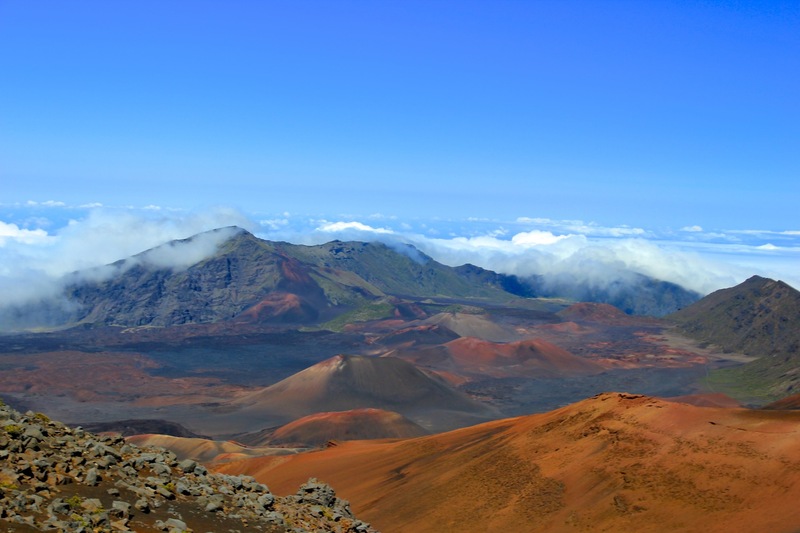 It was absolutely stunning to look down into the crater….wow! Have a wonderful weekend entertaining your guests! Great photos…what beautiful scenery. Love the outfit in the last photo too. Have a great rest of your trip! 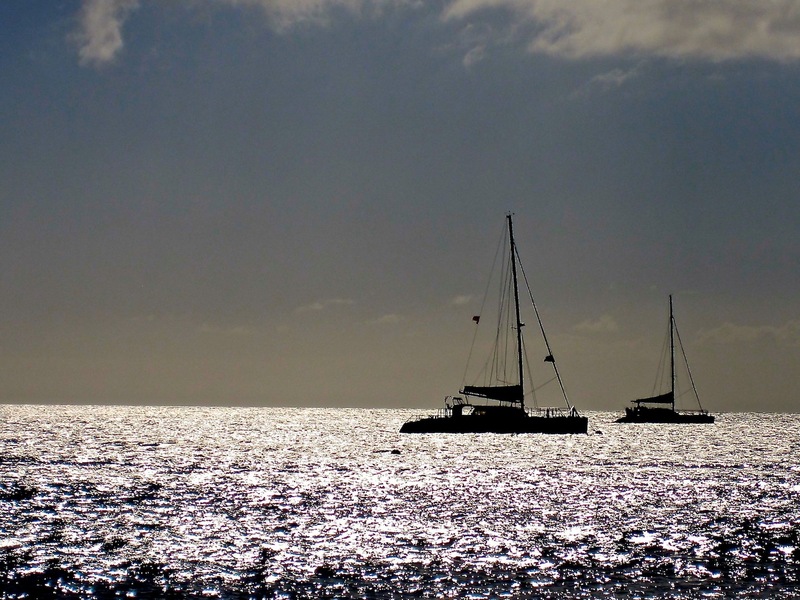 Absolutely adore your photos of Maui!!!! Very jealous! 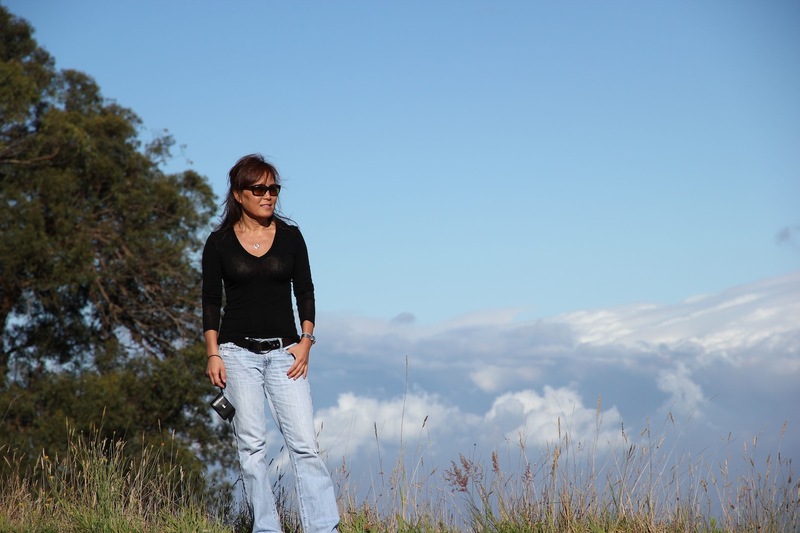 Beautiful and stunning….both Hawaii and you. I have never been but would really, really like to. You got some great shots and it looks like your vacation is going wonderfully. We’re having a ball! Right now, I’m sitting on our balcony watching the most beautiful coastline of Kauai passing by as we are sailing out back to Honolulu. I could get used to this… 🙂 Have a wonderful weekend!